At Dental Dynamics, our team is always striving for excellence when it comes to improving the health and confidence of teeth. Each patient’s complete satisfaction is the greatest reward possible! Dr. Davidson is your dedicated general dentist, and he’s assembled a team of specialists who can address a wide spectrum of needs and goals in one convenient location, from essential checkups and cleanings to advanced specialty care for cases of missing teeth, orthodontic frustrations, and much more. Better yet, every treatment plan is painstakingly designed for the unique person in the operatory chair – no “one size fits all” solutions! 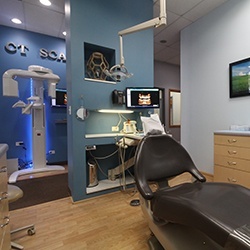 If you’d like to learn more about what makes our dental office in Skokie, IL stands out, keep reading below. You can also contact us directly with any questions or to schedule a first visit. We’re looking forward to getting to know you and your family. A true oral healthcare home should be able to provide patients with an extensive variety of different services, not endless referrals to outside specialists. That’s why our team features the skills of not only a highly experienced general dentist, but an oral surgeon, a periodontist, and an orthodontist as well! We love being able to save you valuable time, cut down on unnecessary travel, and help you stay comfortable and at ease in one familiar environment throughout the treatment process. 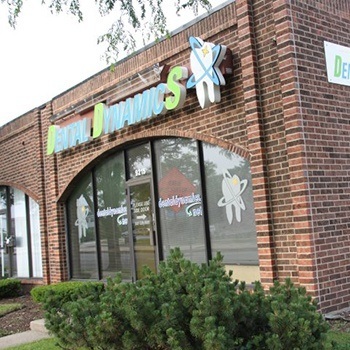 Every team member at Dental Dynamics is highly experienced, friendly, and ready to help you have a smoother care experience in any way possible. 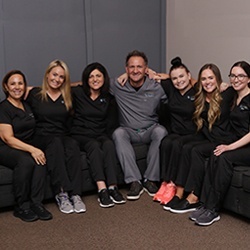 From the front desk to the treatment chair, their passion for their work will be crystal-clear, so please don’t hesitate to ask them questions or express any concerns! We believe that quality dental care should be much more about just the clinical details – it’s also about forming genuine connections and warm relationships with every person in need. Here in Skokie, you’ll never have to worry about our team being “behind the times” when it comes to the tools and techniques we rely on. 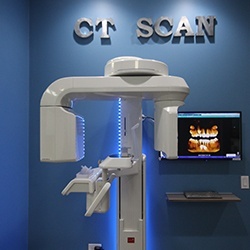 In fact, quite the opposite – our dentists stay up-to-date with the latest developments in dentistry and have outfitted the practice with state-of-the-art technologies wherever possible, including a Cone Beam for three-dimensional X-rays, all-digital impressions, and much more. We can’t wait to introduce you to their benefits in much greater detail during a first visit.